Anybody wanna party with Bloomie? Mayor Michael Bloomberg is continuing to make a mockery of America's absurd two-party system. With an eye towards a third term, the erstwhile republican is contemplating a return to the Grand Old Party, for no other reason than he sees it as the easiest, cheapest path to getting on the ballot in the general election this fall. This morning Bloomberg will meet with the city’s five Republican chairmen to seek a home on the party's ballot. Queens chairman Phil Ragusa and his peers are rightly suspicious that this is just another case of Bloomberg seeking the path of least resistance rather than an ideological home. Ragusa will bring to the meeting the necessary paperwork for Bloomberg's formal return to the party. Bloomberg campaign aide Matthew Mahoney, himself a republican, has indicated that such a change isn't in the cards. “The mayor is going to make his case on the merits: lower crime and antiterrorist measures, accountability at our schools, balanced budgets and fiscal discipline,” Mahoney told the Times. Nonetheless, Bloomberg's predecessor, Rudy Giuliani has been making calls to fellow republicans asking them to support the mayor. 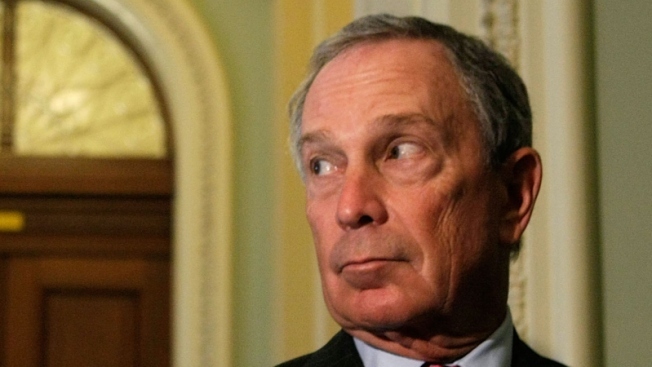 Bloomberg was a lifelong Democrat before registering as a Republican for the 2001 mayoral race. In 2007, amid speculation that he may make a presidential run, Bloomberg forsook the GOP, declaring himself an Independent. It's hard to imagine that anyone would change their feelings about Bloomberg based on his purely nominal party affiliation. As a second-term mayor, he's a known quantity who will offer few surprises. And with a bottomless war chest, he can afford to run without the financial support traditional candidates need from their party.